The T and J combo hook gives multiple options to connect to automobile frames. 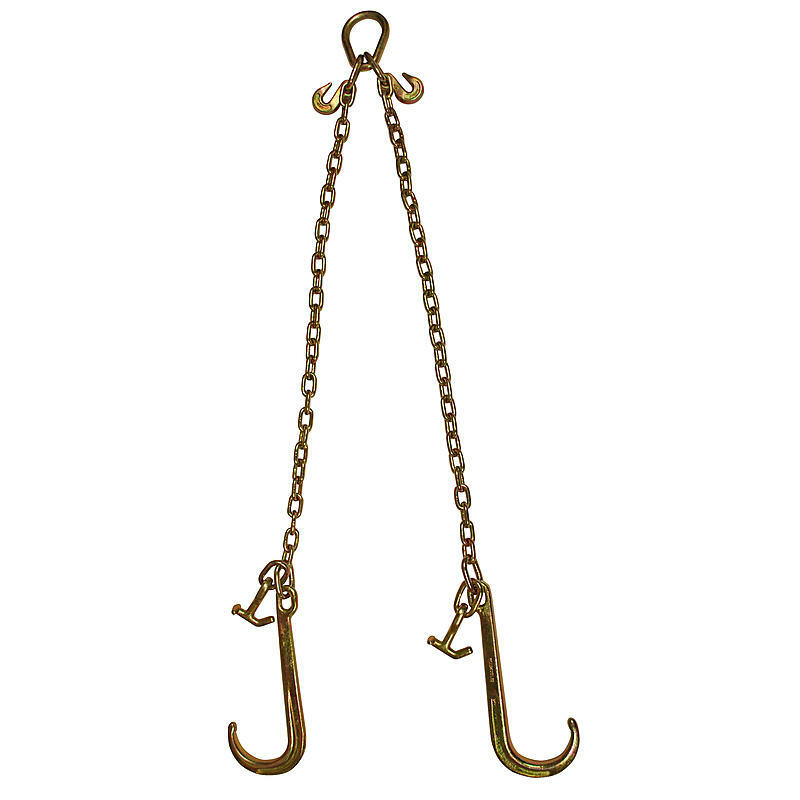 The master pear ring has clevis grab hooks to adjust chain length and attaches quickly and easily to the winch cable. These towing chain hooks are great for your wrecker or tow truck. Meets or exceeds all DOT specifications.